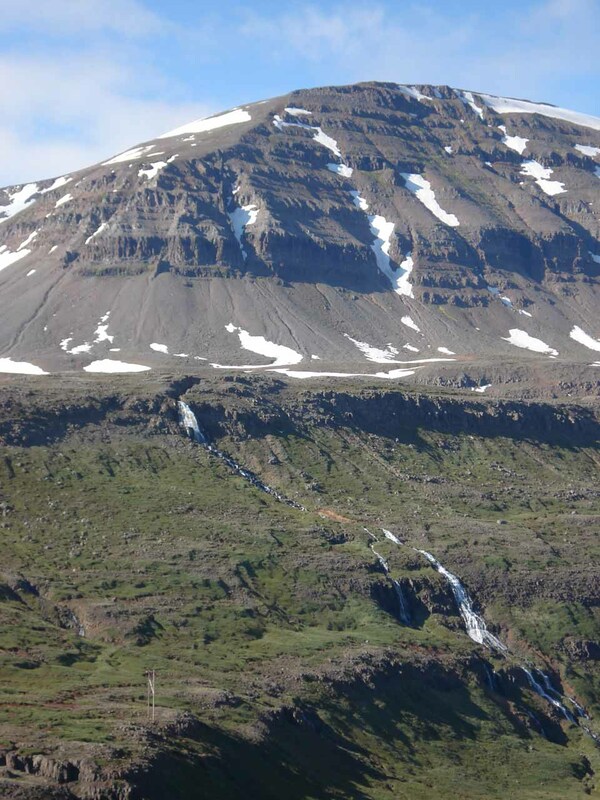 The other Seydisfjordur Waterfalls (Seyðisfjörður Waterfalls) are what I’m clumping into this page to acknowledge the numerous waterfalls to be seen here. 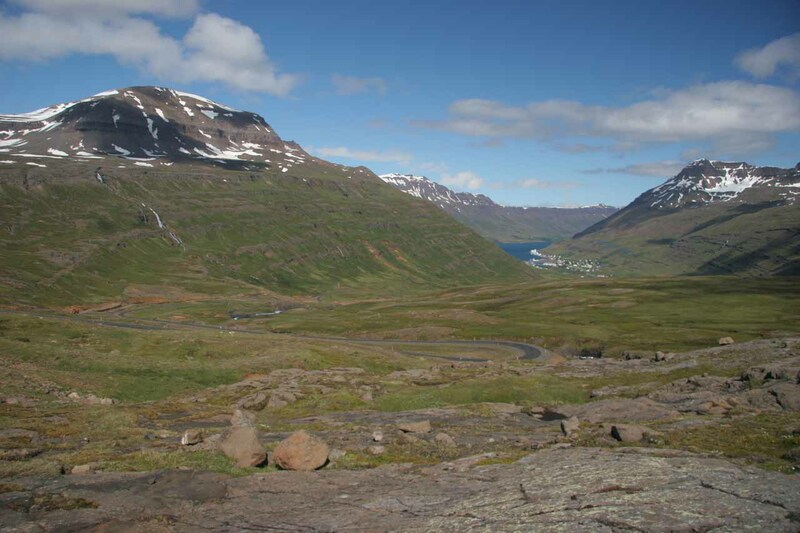 Most of them are on the river running from the mountain to the fjord though there were more here and there coming down the mountains flanking the valley and fjord. 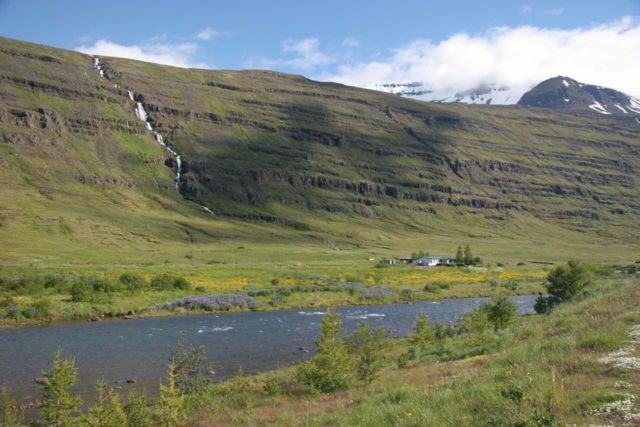 We even noticed an attractive waterfall behind some homes within the town of Seyðisfjörður itself. 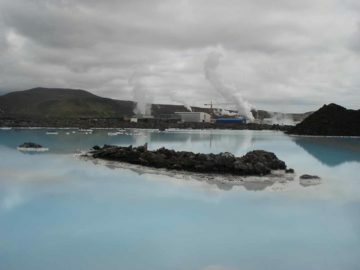 In hindsight, I got the sense that this area might have been better visited as a shuttle hike (though how would that be arranged?) 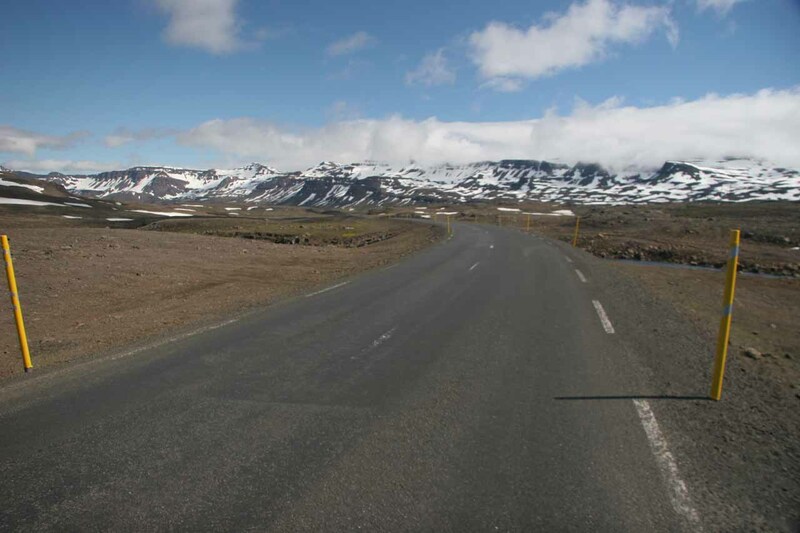 or a one-way bike ride. 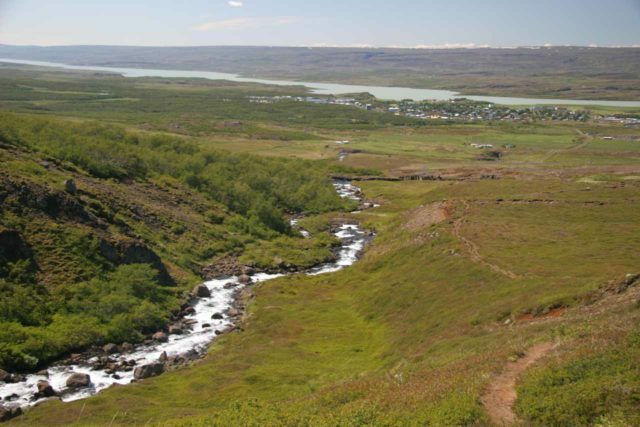 Whatever the case, it would make for a nearly all-day walk to go from the moors by the source of the river all the way down to Seyðisfjörður (a distance of about 8.5km each way). 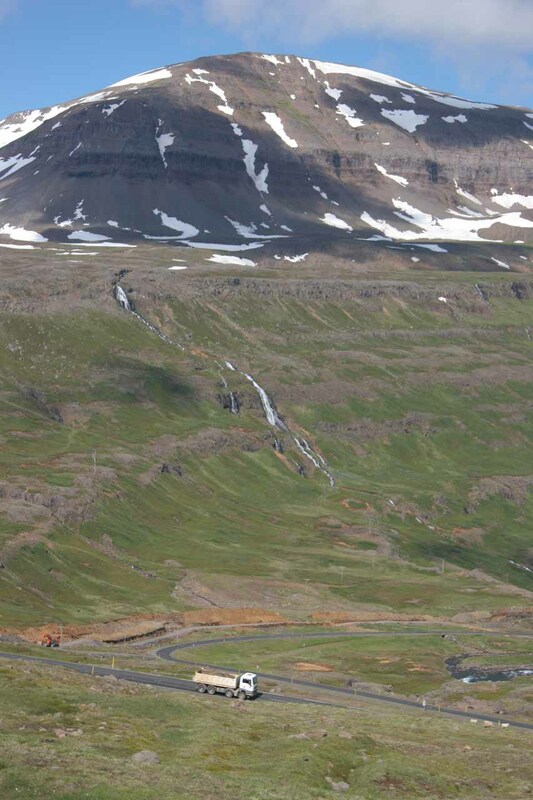 Since we were autotouring and looking for places to pull out (further complicated by the construction that was going on during our visit), it was too bad we weren’t able to photograph the majority of these waterfalls in our haste and stress to not block traffic. Case in point, some of the named waterfalls on our map that we couldn’t photograph included Gljúfurfoss and Mulafoss among others. 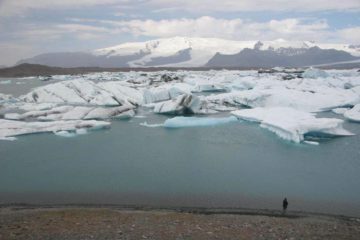 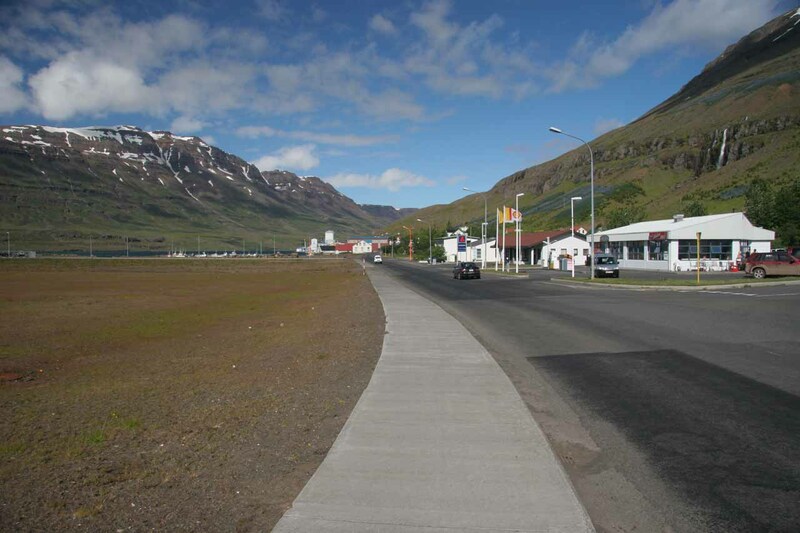 I think on a future trip, I’d like to walk the road from the top near Gljúfurfoss all the way to the town. 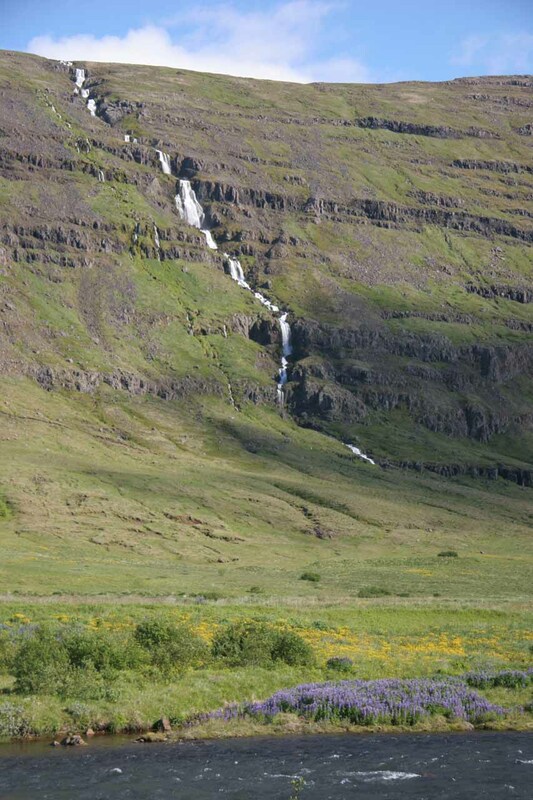 But in the mean time, check out these photos of the waterfalls we were able to capture. 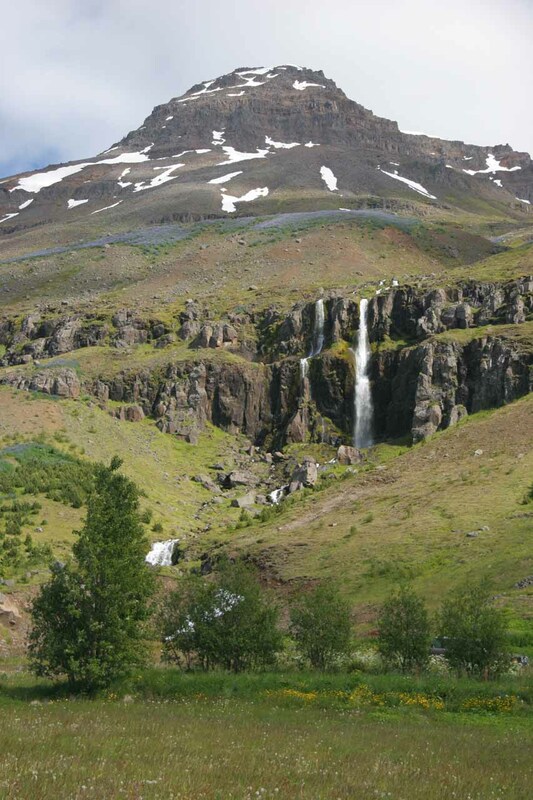 Note that Gufufoss would also be categorized as one of the falls belonging to this page, but we decided to let it have its own dedicated page since it was heads and shoulders more impressive than the rest. 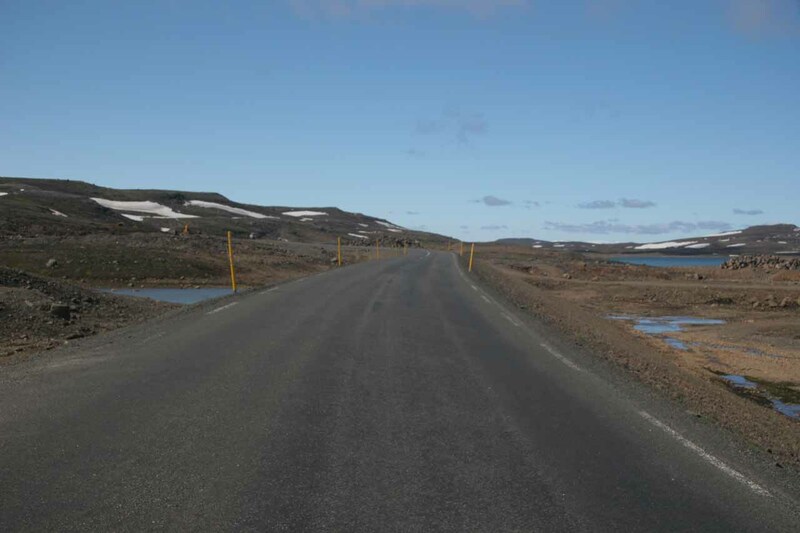 This page covers the stretch of Route 93 facing Seyðisfjörður as well as some of the local roads in the town itself. 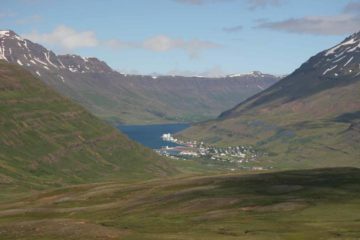 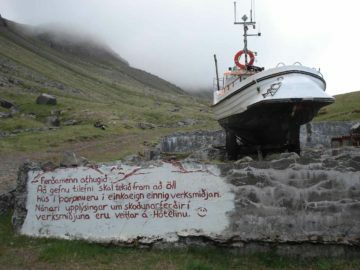 The town of Seyðisfjörður is about 30km east of Egilsstaðir.